New Chapter - An Australian website recommending resources for children's ministry featured our latest song/video, Remember Me, on their site. 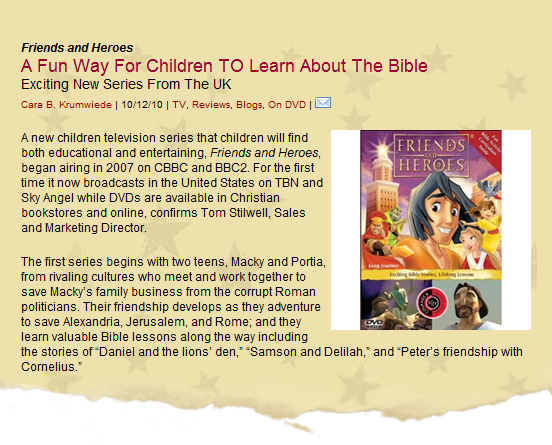 They said Friends and Heroes "DVDs are excellent and I've always found the kids are excited to watch each episode and will sit rapt." 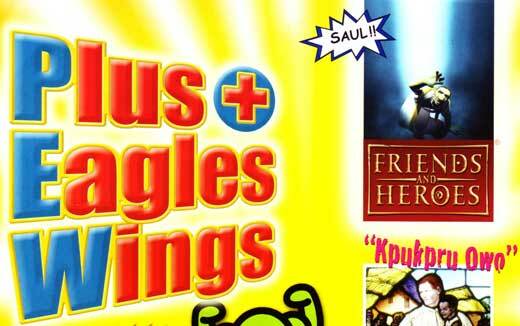 The Friends and Heroes coverage continues in this monthly children's magazine. This month our images help to tell the story of Saul meeting Jesus on the road to Damascus. 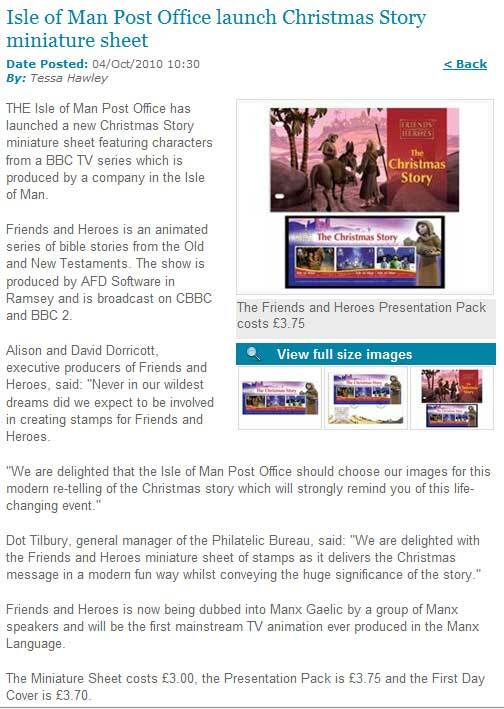 The recent announcement about the Friends and Heroes Christmas Story Stamps was instantly covered in SCO's Blog. 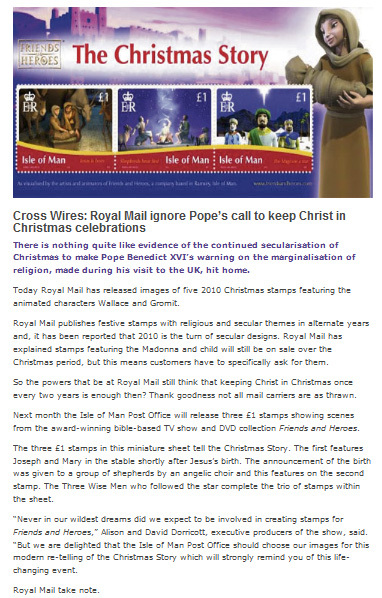 It is interesting that in the week that the Pope said we need to put the Christian message back into Christmas, the Royal Mail in the UK announced it was issuing Wallace and Gromit on its Christmas stamps! 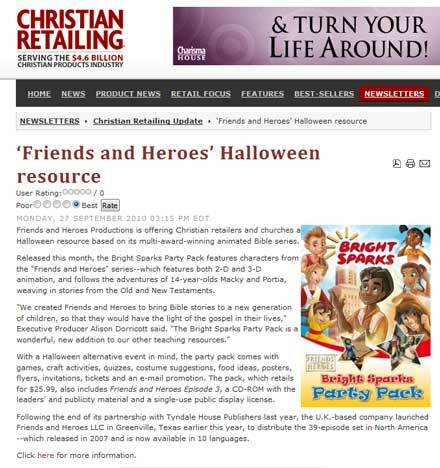 We are delighted that the release of our Bright Sparks Party Pack in the USA has been brought to the notice of stores by Christian Retailing magazine. Now churches in the USA can offer children a wholesome alternative to 'Trick or Treat' on Halloween!